Information: Sam, while intelligent, acts fairly naiive and is susceptible to being talked, tricked, or otherwised convinced into doing what Erin wants him to do. He's a passive dragon who doesn't anger very easily. Sam's curiosity got the better of him and he started eating hobos. Eventually he was caught and exiled where he then moved to Chicago with his wife Rachel. 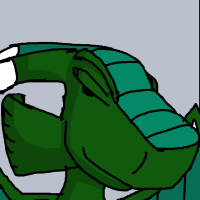 He was later arrested, but instead of spending time in prison, he became a government agent, monitoring any potential threats to dragons' existence. He later became a sniper when they found out he was good at it. As a kid, Sam's parents were poor and had a hard time taking care of two kids and since they had to buy Sam clothes, they let Sam's Aunt Clarice take him and raise him. Due to this, Sam grew up not knowing his twin sister very well and grew up bitter towards his parents, treating Clarice as his mother. After Sam and Rachel started going out, he told Rachel that his parents and his sister had died so she wouldn't know that his family was poor or that they had given him up. 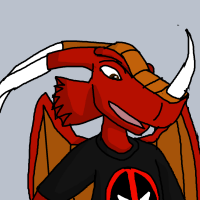 Author commentary: Sam was the first dragon I designed and I came up with him before I wrote his character. 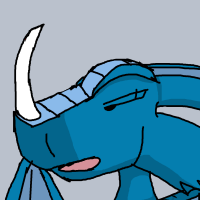 Initially, he and the other three main dragons were supposed to be a group of friends, but due to the first comic, I decided he should be married to Rachel instead of her boyfriend. Profession: Back in New York, she was a computer engineer like her husband Sam, but she was unable to work in Chicago. Rachel later became the mayor of Dragon City Chicago and due to a controversy with how she handled a situation, she was bumped down to deputy mayor. 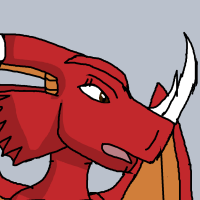 Information: Rachel is generally a sweet dragon, but she has a bad temper, often getting mad when anyone even mentions that she has a squint. Despite the fact that Elizabeth isn't her child or the fact that she doesn't get along with Erin, Rachel is very protective of all of her and Sam's children. 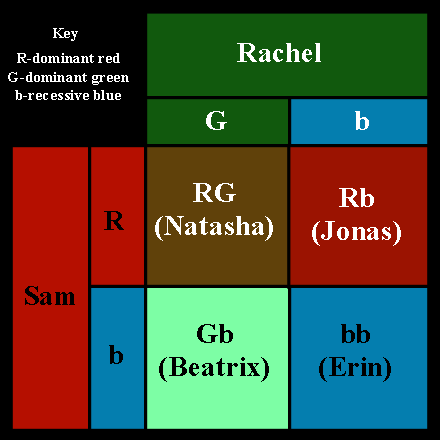 Rachel is often the more dominate of her and her husband because she's not as laid back as him. In fact, she was the one that proposed to him. Rachel grew up rich and the older sister of two (or so she thought). Though rich, Rachel never really became spoiled and prefers making her own money rather than taking it from her parents. She and her little sister, Sarah do not get along. This is, in part, due to the fact that Sarah always mocks her squint. 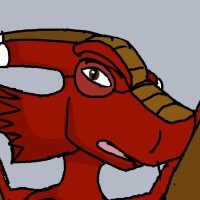 Author commentary: Rachel was the second dragon I created. The whole reason she has a squint is because I couldn't draw feminine eyes very well at the time, so I opted for the squint instead. (Emily has them, but only because I didn't want both female characters to have a squint.) Rachel is my favorite. Her name is one of my favorite female names. I either want to marry a Rachel or name a daughter Rachel. My favorite color is also green. Plus, I tend to like strong females. First apperance:352. His First Daughter 1 (as a Korben), 506. Chicago 12: Surname (as a Parrity). Information: Elizabeth takes after her father personality wise, but she's not as naiive as him. Erin tends to make her more cynical, but when Erin isn't around, Elizabeth is much nicer. When Rachel and Sam were down on their luck, Sam donated some sperm to a sperm bank for money and Stephanie Korben bought it and had Elizabeth. Elizabeth managed to track Sam down and got to know him for a while, but eventually left. When the Chicago caves collapsed, Elizabeth's mother and step-father were killed and since she didn't have any known relatives, Elizabeth went to stay with Sam and his family. She used to live in Sam's office, but she managed to get some money and converted their garage into a bedroom. Author commentary: I initially made her for one story arc, but since she and Erin didn't get along, I thought it would be better to keep her. At one point, I decided that she, Sam, and Jonas looked too much alike, so I darkened Jonas's scales and lightened Elizabeth's, giving her a dark pink color. Information: Erin doesn't quite have the temper of Rachel, but she is cynical, sarcastic, and selfish. Despite that, she tends to take care of Jonas and Beatrix. Erin has a love/hate relationship with everyone in her family, except Sam since she's quite a bit of a daddy's girl. Erin's egg was laid at the request of Sam who wanted kids. Rachel didn't really want them, but she obliged. Erins' coloring comes from some weird genetics. Erin was named after her father. Whereas his name is Samuel Aaron, hers is Erin Samus--female equivelents of his names. Erin is a child prodigy and excels at reading and writing for her age. She is smart in other fields such as math and history, but those fields aren't as strong as her literacy. Information: Jonas has his father's personality, but is a little crazy. He has suffered from hallucinations and so on, but it's currently underwraps due to medication. Part of his issue was exacerbated by his sister Erin. Jonas generally gets along with his siblings, except for Erin and is currently friends with their cousin Jennifer, who is as old as he is. Author commentary: Jonas is one of my lesser used characters simply because he's harder to write for, but I'm trying to make an effort to include him more. Jonas is named after a character in the book Meg by Steve Alten. I'm not sure where "Alan" came from. It was just a random middle name.